This entry was posted in Charity, Commercial Photography, Corporate Photography, Event Photography, Fine Art Photography, Fuji X100, Landscape Photography, Model Photoshoot, Personal photography, Pre-Wedding Photoshoots, Street Photography, Studio Photography, Wedding Photography and tagged Blog, commercial, derbyshire, east, event photographer, Ferrol, Fuji Photographer, Fujifilm, fujifilm_uk, landscape, Landscape photographer, midlands, nottinghamshire, Nottinghamshire wedding photographer, nottinghamshire wedding photographers, notts, notts photographer, Photographer, Photography, photoshoot, portrait, portrait photographer, Rob, Sheffield, street photographer, wedding, worksop, worksop photographer, www.robferrolphotography.co.uk, X, X100, xt1 by robferrol. Bookmark the permalink. Nice article Rob. Love the St Pancras shots, wish i could see them larger. Also love your wedding stuff! Nice. I feel like we are on the same wavelength here. Lugging two DSLR bodies around weddings was killing me (and occasionally assaulting guests) I knew there had to be a better way, which is why the CSC or mirrorless cameras have been so attractive. The Fuji system with its distinct colors and image style immediately commanded my attention. I now shoot the X-T10 and an X-A2 and have a few lenses. I still take the D800 for professional work, so I haven’t let go of my D800 yet….. but I’m close. The X-T2 is coming out soon and it may be the nudge I need. Thanks for your post! Great blog Rob. I have been trying different systems having started with Nikon. I wanted something smaller and went with the Sony A7ii. The Sony is a great camera but once I started looking at their pro line of lenses the size was back to where I was with my Nikon. The Sony is currently up for sale and I am eagerly waiting on my XT10. Great images by the way. Hi Alex how have you found the Xt10 after the SonyA7ii, the reason I’m asking is I looking at the change to Fuji myself from Sony A7ii, while its a good camera I find it complicated, and good lense are not light. I’m mainly a landscape photographer and two fav lenses are 16 35 and 55 1.8 along with 70 200, but I feel with Fuji say xt2 and a few lenses about 30% saving in weight and less complicated system to work..
As a canon user, you have confide me to Fuji x-series now. Since the launch of Xpro-2, would you advise me to go for or start with XT-1? Hi Mikey, many thanks for your kind comments. It’s a difficult one for me to answer TBH. The XT1 is a very capable camera but a very different design to the X-Pro2. I chose the XT1 for is central view finder being left eye dominant but on the flip side i would still love to have an X-pro2. I would suggest you got to a store and see both and see how they suit your shooting style. The 14mm is a fantastic lens. It is very sharp, lightweight and produces wonderful images. Nice article Rob, I agree with all your sentiments about weight/size reduction and the quality of the Fuji primes, similar reasons why I switched. Superb blog! I had a similar experience coming from the Canon EOS line. 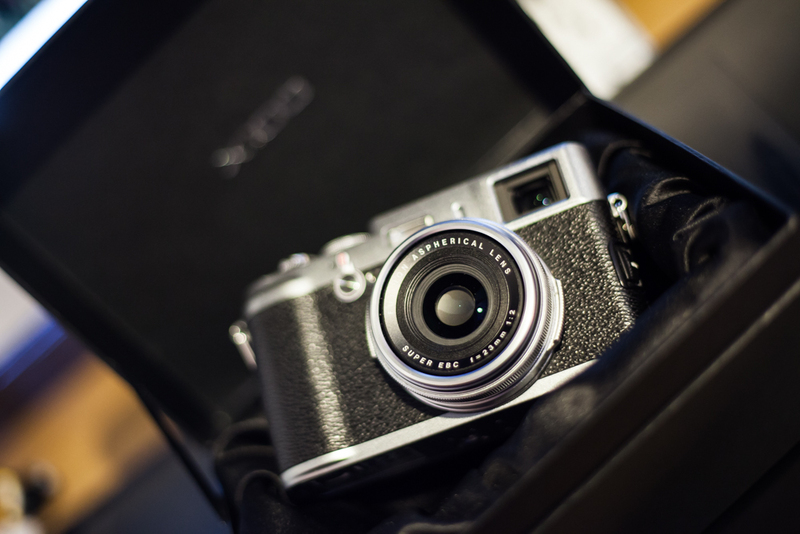 I was introduced to FujiFilm with the x10 a few years ago…totally changed my perspective & approach to photography. I now love my X Pro 1 and maybe add the XT1 at some point.